What you can and can’t do to your neighbours trees in Brisbane. Neighbouring trees have been a hot topic for our clients in recent months. We have spoken about what you are legally allowed to do if one of your neighbours trees is giving you problems at your property before, but we thought we would rehash the subject as it is a question we are frequently asked! Firstly, who is responsible for what? The tree keeper who is responsible for the tree is defined as the registered owner of the land the tree is growing on. It is also important to note that as the tree keeper you are responsible for the whole tree. That means if the roots of the tree on your property are damaging your neighbours property, it is your responsibility. So what happens if your neighbours tree is overhanging your fence? The first thing you should do is have a friendly chat with your neighbour to let them know of the issue with their tree. Chances are they don’t know it’s affecting you. If the matter can be resolved by a simple conversation it will save you time, money and the stress of taking legal action. What can you legally do yourself? 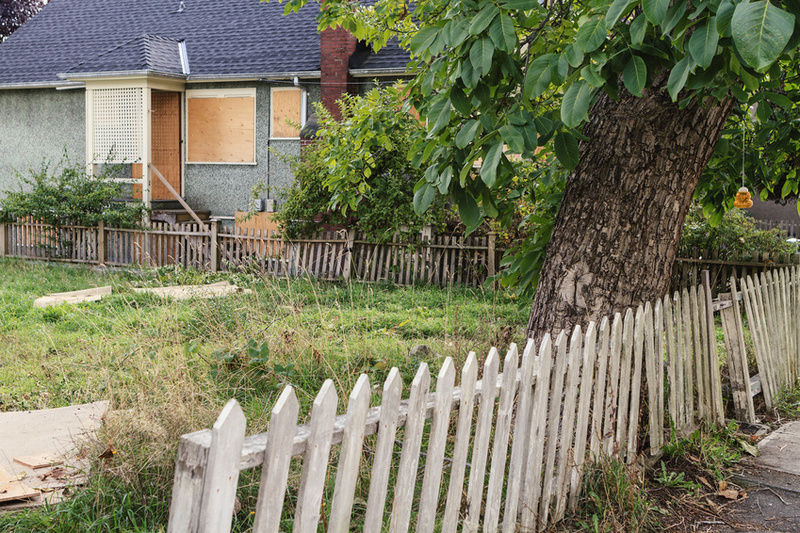 You are legally allowed to remove branches overhanging your property to your boundary line as well as any offending roots from your neighbours tree. You can then either decide to return the lopped branches/roots/fruit to your neighbour or dispose of them. Please be aware that if you do decide to do this that you are complying with any existing protection orders on a particular tree. For example if your neighbour in Brisbane has a Poinciana tree overhanging your fence and the roots are growing through your property as well, this tree depending on its location, age etc may have a protection order on it from council, if you interfere with a protected tree you can be fined so it is always best to be safe and check first! What if it is your tree? How can you best manage the trees on your property to ensure they aren’t causing problems for anyone else? 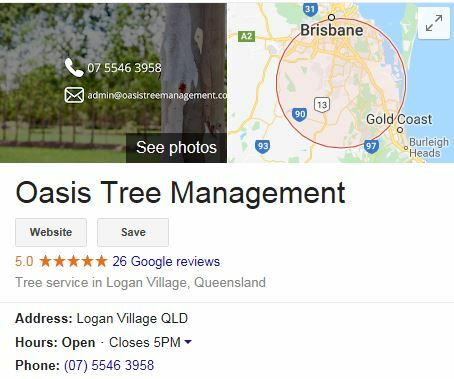 A way to minimise the risk of having tree problems at your property is to learn about the trees you want to plant before you plant them, or by getting an Arborist in to give you a quote on the cost of maintaining the trees on your property. Just by educating yourself on what your trees need you can manage them before they become a problem for you and your neighbour. Here is a list of trees/shrubs provided by the Brisbane Council that can be suitable for your property: CLICK HERE. If you need any advice or a quote to prune your neighbours trees back to the fenceline, please give us a call on 07 5546 3958 and we can help you to the best of our ability!